When the lovely people at Black Sheep Wools asked me if I wanted to try some of the new Sublime Superfine Alpaca dk, I couldn't say "yes please" fast enough! 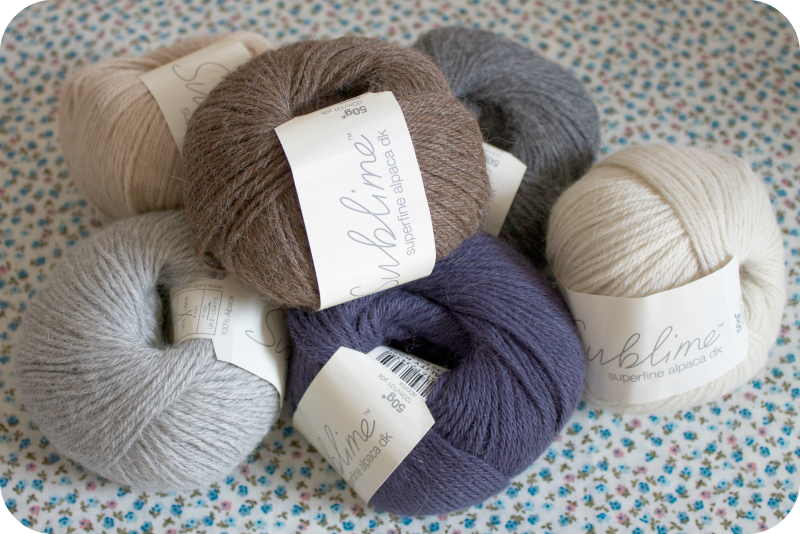 As you probably know, I am a massive fan of Sublime - their merino yarns are firmly in my top ten favourites. It's beautiful to crochet with. The drape is one of the best I've come across but it's the softness that makes my heart skip a beat. Oh, it's dreamy. Black Sheep Wools has kindly offered readers of my blog 10% off Sublime Superfine Alpaca dk from now until Monday 20th October 2014. Simply quote PINK10 at checkout. 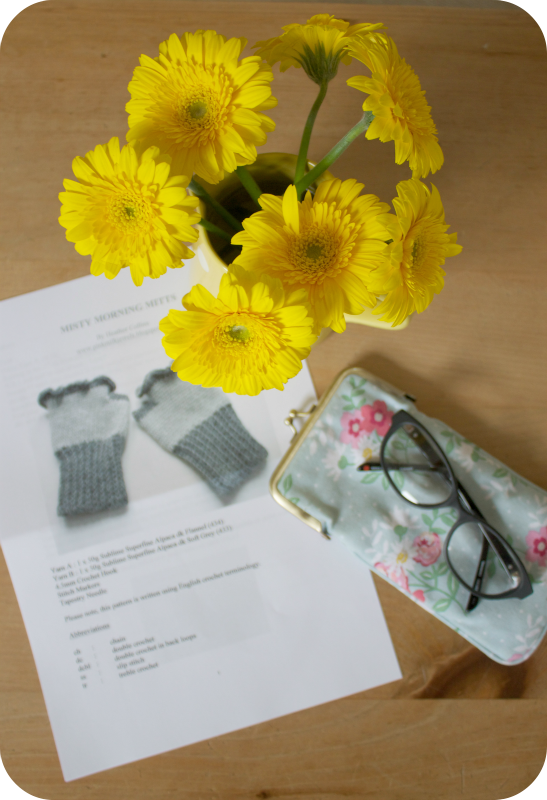 I've written a pattern for some Misty Morning Mitts which is free to download from Black Sheep Wools' website. It's an easy pattern and requires only two 50g balls, one in each chosen colour. Established for over 30 years, Black Sheep Wools is an award-winning, family-run UK retailer of yarn, patterns, sewing and needlework materials.